All the people in this Directory may be contacted via the Church Office or the website coordinator unless otherwise indicated. See Guild of St. Stephen. For further details contact Ron Griffin via the Church Office. If you would like your child baptised please contact Mgr. Chris Brooks via the Church Office for more information about Baptism Courses and preparation. The Brentwood Diocese Pastoral Council is a forum for communication to, and between, representatives of the different parishes in our Diocese. To find out more please visit Catenian Website or contact our Membership Officer: Jonathan Palmer 01206 975390 or 07850 459652 (mobile) or JP@the-bridge.biz . Mass and all children are welcome. This has now been split into two groups: the pre-school group and the pre-first communion group. The children leave Church after the entrance hymn and return during the offertory. For further information please contact Melissa Dove via the Church Office. As a result of the Nolan Report there are now established Protection Procedures for Children and Vulnerable Adults in our Diocese. The Child Protection Officer for St. James the Less and St. Helen Parish is Theresa Higgins, a new Deputy is to be appointed later. The Protection Officer for the Diocese is Simon Moules. If you have any concerns about the protection of children and vulnerable adults in our Parish please please contact Theresa Higgins (Tel. 01206-523501), or the Church Office. The choir contributes significantly to music at the 10.30 am Sunday Mass and other special occasions on request. Enthusiasm is more important than a perfect voice. Singers and musicians are always welcome. Please contact the Church Office. Christmas cards are for sale in the Repository Shop. The Repository Shop located in the Cardinal Bourne Hall at Priory Street. Opening times are 10 am to 12.45 pm every Sunday. Contact the repository team via the Church Office. We have a number of teams who keep our Church clean, but new people are always welcome. If you would like to join a team please contact Helena Gibson via the Church Office. The Church Hall can be booked for functions - email Pam Edwards or leave a message for Pam on 07758 805 263. For more information contact Andrew Johnson on 01206-861360 for details. For more information, contact Theresa Higgins (Tel. 01206-523501). We have many Extraordinary Ministers of Holy Communion in our Parish helping with taking Communion to the sick and also taking Eucharistic Services in the Church and assisting with the distribution at the Masses. If you know of anybody who is sick and cannot make Mass through illness, or is housebound, please contact Mgr. Chris Brooks or Cathy O'Connor via the Church Office. We have a First Holy Communion programme for the children of the Parish each year. This group meets between January and May on a Saturday morning to support the children being prepared for First Confession and First Holy Communion, together with their parents. Contact Hywel Edwards. We are a small group but would welcome new members. Experience is not necessary but enthusiasm and a willingness to learn are essential, as is physical fitness since a certain amount of lifting and carrying is involved. Members must be able to make a regular commitment to the church flower rota. Volunteers should leave their name and contact details at the Church Office addressed to the 'Flower Group'. This scheme allows the Parish to reclaim the taxable part of your offerings from the Inland Revenue, at no cost or inconvenience to yourself. There is no commitment to a specific amount of money for a given period of time. The donor uses numbered envelopes supplied by the parish Gift Aid organiser, or a standing order. The envelopes enable you to plan your contribution in advance. Alternatively, a standing order can be organised for a monthly contribution to the Parish, which saves on cash handling/administration and means your payment is never missed. The Parish can gain a further 28p for every �1 contributed under this scheme. The Declaration can run indefinitely, but can be cancelled at any time if personal circumstances change. � The donor must pay income tax equal to the amount being reclaimed each year. Please contact John Sales or Church Office if you would like further details, or to join the scheme, or if you wish to organise a standing order. Altar Server�s are required at all masses and in all mass centres. The only qualification required to serve on the altar is that you have taken your first holy communion. 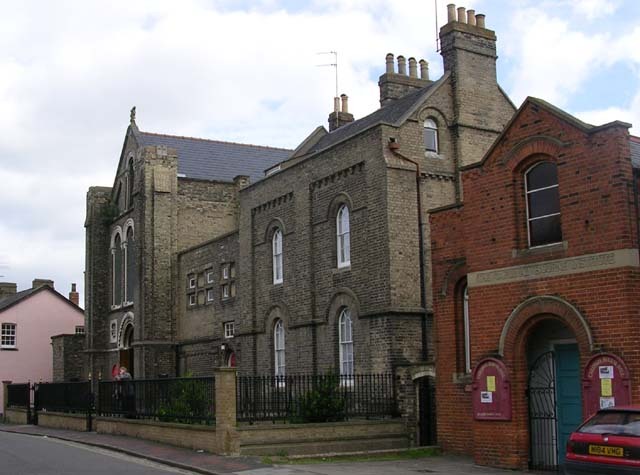 There is training which will take place at the 10:30 mass at St. James the Less and St. Helen church Priory St. The initial training lasts for about 3-4 weeks or you feel confident about the roles. After 1 year you take your vows as a member of the guild and receive your Bronze medal. You are able to serve at any mass or mass centre or parish you are visiting. Contact: MC Andrew Johnson on 01206-861360 for details. All hospitals have a Catholic Chaplain. If you would like a Priest to visit you the hospital can arrange this for you. Or contact the Church Office. If you would like to be involved in any of the Interest Groups in our Parish, or you feel there are any areas for development or new groups to be set up, please contact Mgr. Chris Brooks via the Church Office who will be pleased to discuss your ideas and suggestions. material good of its members and their families". If you are thinking of getting married, please contact Mgr. Chris Brooks via the Church Office for details of marriage preparation. Newcomers are invited to join the group which meets to meditate in the Christian tradition. The group meet each Tuesday in the Crypt at 8pm. People start gathering in silence from 7.30pm onwards. After 30 minutes of meditation, we break the silence and have time to share our experience, or simply to socialise. Meditation is an ancient form of contemplative prayer that seeks God in the silence and stillness beyond word or thought. We are part of the World Community for Christian Meditation, led by Fr Laurence Freeman OSB. Mercy Associates are lay people who are seeking to deepen their prayer life and spirituality in the Mercy tradition and to remain open to their apostolic call and the challenges of our time, in association with the Sisters of Mercy. The Associates in Colchester meet as a group monthly in prayer, reflection on the life and spirituality of Catherine McAuley, Foundress of the Sisters of Mercy, and friendship, as they support each other in trying to bear witness to the loving mercy of God in their lives. There are about 1000 Associates in England, Scotland and Wales, in over sixty groups. All are engaged in a relatively new venture of lay association with a religious community. Groups are kept in touch with each other through Regional Assemblies, pilgrimages, a twice-yearly magazine and spiritual reflections from the National Commission which oversees the movement. The local contact is Frances Galvin (01206 369568). A selection of Catholic Newspapers is available in the porch of the Church. �OREMUS� is the name coined for parish events which focus on spiritual renewal. See Oremus. For more information contact Valerie Quinlivan via the Church Office. The Parish Football Team plays in the Colchester Inter Church League on alternate Saturdays. We always need players 16+ please contact Chris Nolan on 07771-828751. Each week we produce a Parish Newsletter which keeps us up-to-date with what is happening in our Parish. If you would like any events or special occasions mentioned, please contact the Church Office. The Parish Council consists of a group of Parishioners led by our Priest. The aim is to provide support to those who are active within the Parish. Parish Pastoral Councils are becoming increasingly commonplace within the Church and provide valuable assistance to the Parish Priest, enabling him more free time for his pastoral work, as well as providing cohesion and direction for parishioners working within the Parish. The Council will endeavour to fairly represent all aspects of Parish Life. Please contact any member of the Parish Council or the Church Office. We're delighted to welcome Linda Ferpozzi as our new Parish Administrator. Linda started in the role in June 2017 - she can be contacted in the Church Office. We always enjoy Parish celebrations. If you have any ideas or suggestions on how we can celebrate and have more fun activities please contact Frances Galvin via the Church Office. If you feel you have anything to offer in being supportive please contact Mgr. Chris Brooks via the Church Office. The contact is Theresa Higgins (Tel. 01206-523501). Please contact Elspeth Johnson via the Church Office. A wide range of pamphlets, religious items, cards for all special occasions and Mass cards are available from the Repository Shop located in the Cardinal Bourne Hall at Priory Street. Opening times are 10 am to 12.45 pm every Sunday. Our Church provides soup, sandwiches and hot drinks to disadvantaged and homeless people in Colchester . Our slot is 8 - 9 pm on alternate Saturdays. Volunteers to make sandwiches, or help on the night welcomed. Contact: Church Office. This active group meets regularly throughout the year and helps families in need, visits the sick and housebound and offers a variety of practical support. New members are always very welcome. Information detailed in the weekly newsletter. Contact is Lenore Sykes via the Church Office. We are the people who greet you as you come into our church and assist you with any queries. We always need more people to help and a 3-month rota is posted in the lobby of the church. Contact is Paul Horwood via the Church Office. Contact Cathy O'Connor via the Church Office.